Hello, yes you can remix the design and use comercially. Bro there are how many total downloads of your 300 monsters pack. 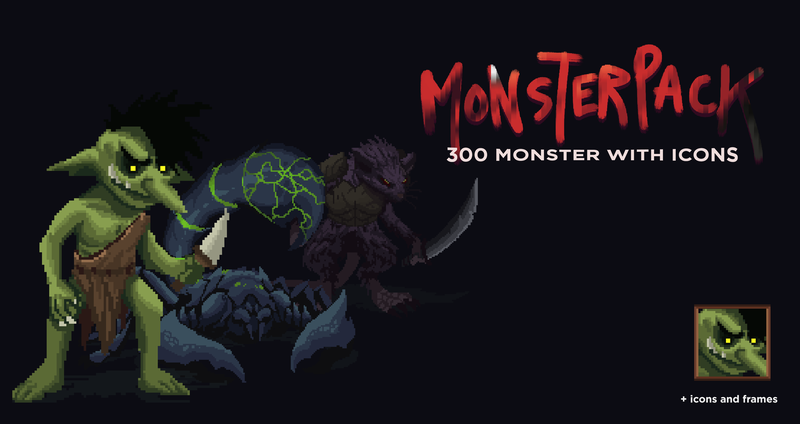 Could we have a sample or overview (heavily watermarked of course) of all the monsters? Could we also have the same of one complete animation? Thanks. Hello, i have provided free samples and overview in the description. This asset is not animated. Great works! Is it animated? Thank you. No it's not animated.